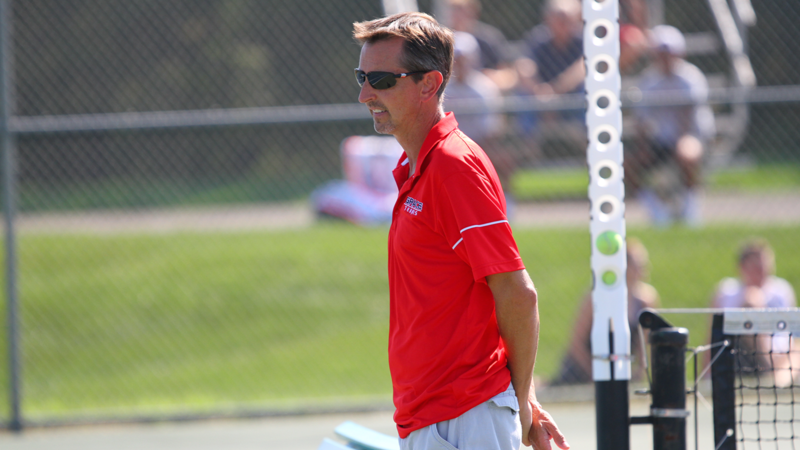 Larry Schuh has decided to step down from his post as Grace’s men’s tennis coach after a decade-long stretch of excellence. Andy Lewis has been named the interim head coach for the spring where he will assume all recruiting and daily duties for the program. Schuh, who was a two-time conference Coach of the Year, is the top tennis coach in school history. He led the Lancers to back-to-back conference championships in 2012 and 2013. Schuh inherited a program in 2008 that had not won a match in two years. He proceeded to steadily build the Lancers into a powerhouse. Lewis served as the assistant coach for Grace this fall, and he will now lead the Lancers’ recruiting efforts as well as direct the spring matches and practices. Lewis is no stranger to Lancer tennis. He was a two-time NAIA national qualifier and won numerous conference awards. He also served as the tennis coach at Warsaw from 1993-2004. He helped the Tigers win 13 individual sectional championships, 2 team region championships and 7 individual regional crowns.